With the Zcash launch of October 28th, 2016, a couple weeks behind us, and a couple of bugfix releases out, we’re beginning to turn our focus to the coming year. The last lingering task to complete our MVP goal is to begin the Founders’ Reward transfers. We will begin initiating transfers of the Founders’ Reward funds sometime on or after November 28th, 2016, a month after our launch. Recipients of the Founders’ Reward may independently use these funds as they see fit. 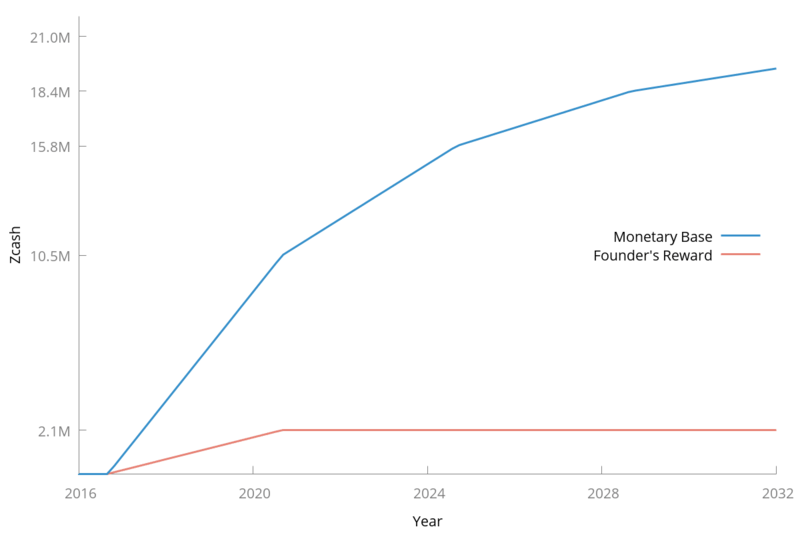 Additionally the end of the mining slow start is predicted to be roughly around the same time after which the rate of ⓩ production over time will become constant for approximately the following four years. observe up-to-date details for these kinds of funds. 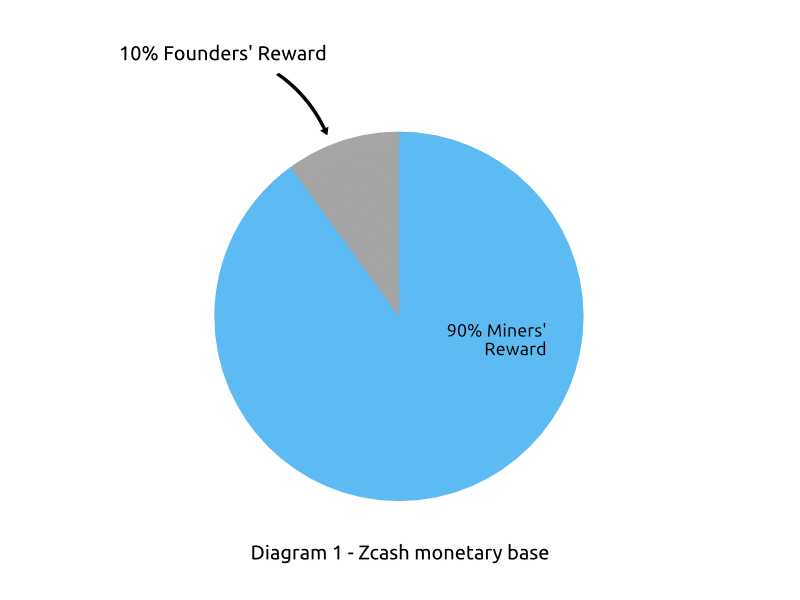 The Founders’ Reward is the cornerstone of our funding and developer incentives model, and allocates 10% of all tokens created to a Founders’ Reward fund, with the remaining 90% allocated to miners eventually. Address t3Vz22vK5z2LcKEdg16Yv4FFneEL1zg9ojd, which collects the Founders’ Reward, receives 1.01075 ⓩ. The miner’s address is chosen by the miner at the time they created the block, whereas the founders’ Reward address, t3Vz22vK5z2LcKEdg16Yv4FFneEL1zg9ojd seen above, is specified in the consensus rules (specifically in this source code). Throughout the approximately four years of Founders’ Reward distribution, the specific addresses used will change, a measure to improve our operational security. You can see that as of this writing (around block 8775), no funds have moved from the Founders’ Reward address t3Vz22vK5z2LcKEdg16Yv4FFneEL1zg9ojd (link to zcha.in explorer). Once we begin transfering funds out of that address, the URL should reflect those transfers out. Once Founders’ Reward transfers begin, on or around November 28th, and the slow start completes the Zcash network will be in the basic post-launch steady state. We designed the Founders’ Reward as the best practical structure to make Zcash a reality, both in its launch and it’s continued evolution. We’re avidly preparing for that evolution! The list of all Founders’ Reward addresses is found in this source code table. The untransfered balance of the Founders’ Reward can be viewed with any ‘balance view’ of those addresses, such as this view of the current t3Vz22vK5z2LcKEdg16Yv4FFneEL1zg9ojd address.